All the District Educational Officers in the State are hereby informed that as per the reference cited above SA-II Examination for class X is the Pre Final Examinations. The Pre Final Examinations is scheduled from 24.02.2018 to 10.03.2018. Further all District Educational Officers are informed to communicate the Pre Final Examination scheduled to all school having class X sections under all managements in their respective districts. All the District Educational Officers also requested to take necessary plan of action for smooth conduct of Pre Final Examinations duly maintaining confidentiality. 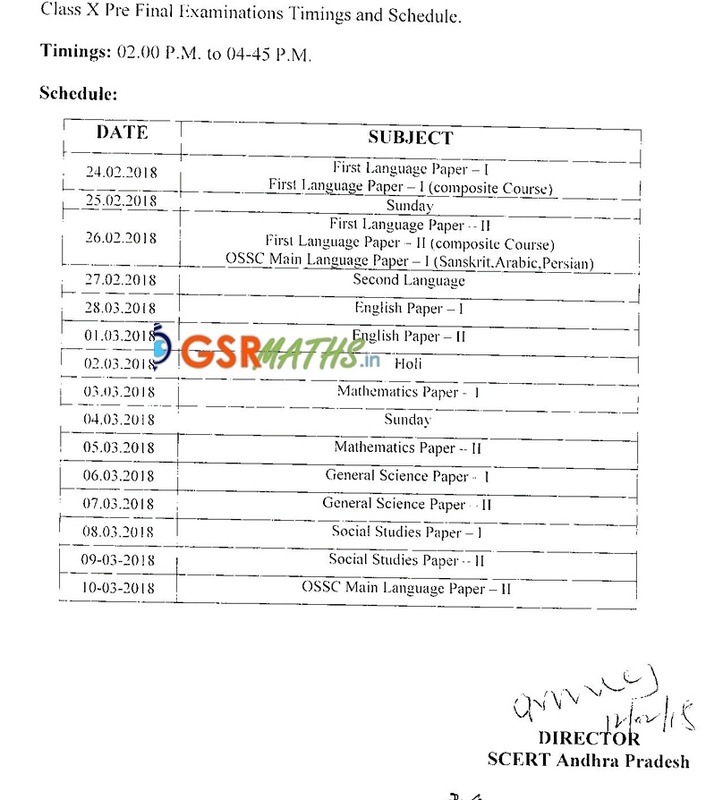 Class X Pre Final Examinations Timetable.